The Story Behind The Beatles' "Hey Bulldog"
Should you know what these are, and be fortunate enough to have a local grocer who gets them in early Spring, celebrate. Cynara cardunculus are a relative to the artichoke and when they are cooked properly they taste kind of like artichokes. Clean like you would celery then with paring knife, peel any obviously tough strings and discard. Cut the cleaned cardoon into 4-6 inch pieces and place into large pot of water with the juice of one lemon in it and turn on high heat. When water comes to a boil, continue cooking until cardune pieces are tender, but not mushy. The cooking time might vary from 30 minutes to 90 minutes. Keep testing them to make sure they are tender. Drain and rinse with cold water. Pat dry with paper towels and prepare your coatings. Make one bowl with beaten eggs. One bowl with seasoned flour. Dip cardune pieces in then egg, then flour, then in pan of heated vegetable oil mixed with olive oil. Do not crowd in pan – dip, flour and fry as you remove cooked cardoon. Fry until golden, then turn over and brown on both sides, place on paper towels to drain. Salt and pepper to taste. They are delicious warm or cold. "The Cardoon has a long history in American horticulture, as it was a common colonial vegetable and one grown at Monticello in long rows. 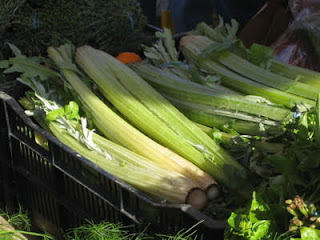 Today, few bother to grow the plant for food, opting for imported artichokes or those flown in from California, but the cardoon offers a more sustainable option to air-shipped artichokes, especially for those who garden in the north, and as an ornamental and a vegetable, it can be planted in the border rather than the vegetable garden."